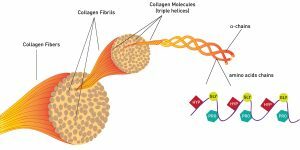 Home > Better You > How does collagen formation help in eczema scar prevention? How does collagen formation help in eczema scar prevention? Eczema scars can be very persistent, and it is not easy to get rid of such scars or prevent them. in your body can ensure that eczema scars fade with time. What is a collagen ? produced enough collagen. Collagen is also helpful in closing various types of flesh wounds. helps in drastically improving the skin, nail and hair growth by generating new cells. Why eczema scars need collagen? also be rapid and smooth. This would help with quickening the healing process as well. which would, in turn, ensure your natural body vitality is retained. How to increase collagen level? collagen supplements which are available at drugstores which you can opt for. collagen level in the body.